South Central Pennsylvania's Beta, Sherco, Scorpa, and now AJP! Welcome to South Mountain Cycle Shop, a locally-owned motorcycle shop. 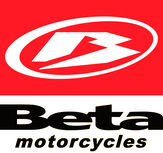 We offer new and used motorcycles for sale, and service, parts, and accessories for any make and model.